Transform traditional onboarding from a finite program into a continuous learning experience. Get new employees familiar with their new role and continue to build their expertise over time, so they become valuable contributors who drive real business impact. What are the keys to a positive onboarding experience? 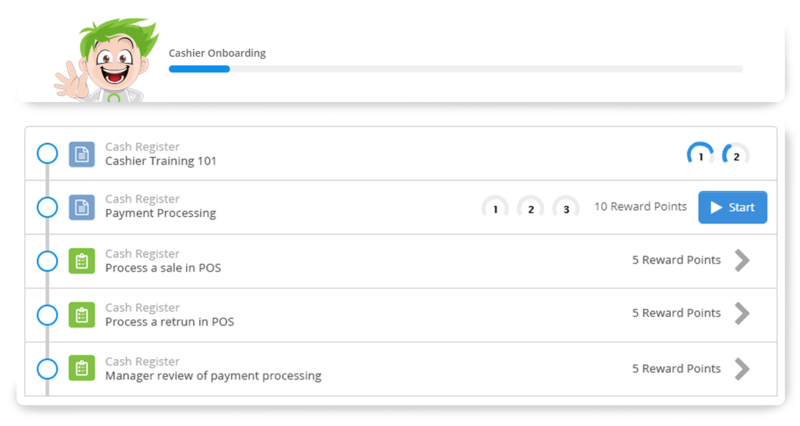 The traditional, accelerated onboarding timeline firehoses information at new hires, checks a box that onboarding is complete and throws them into the operation expecting that they’re ready and capable to perform on the job. The abrupt stopping point of formal onboarding followed by an immediate transition to the operation and expectation that new hires are set up to perform on the job leaves them frustrated, guessing and unsure. The result? 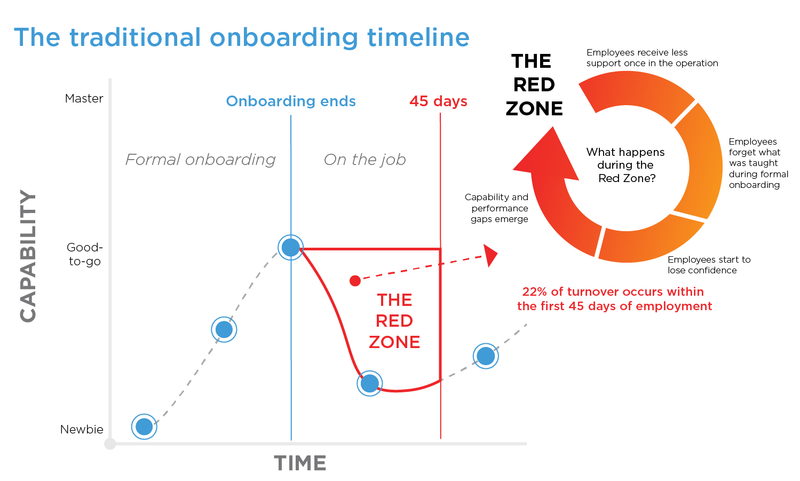 The Red Zone—the first 45 days where 22% of turnover occurs, costing organizations millions every year. With continuous support and readily accessible information, new employees never enter the Red Zone. By continuing to boost knowledge over time, Axonify ensures employees are capable and ready to flourish in their new role and beyond. Ready to build an onboarding program that keeps employees smiling? Learn more about how our approach can get your employees on the job quickly, performing better and sticking with your organization long term. Give your new employees everything they need in their heads and at their fingertips to perform the way you need them to. Guide employee progression through onboarding and personalize the learning experience to quickly fill knowledge gaps. Let them apply what they’ve learned with on-the-job practice, and then continuously reinforce it over time. Say goodbye to high turnover and on-the-job errors with performance support and targeted coaching. 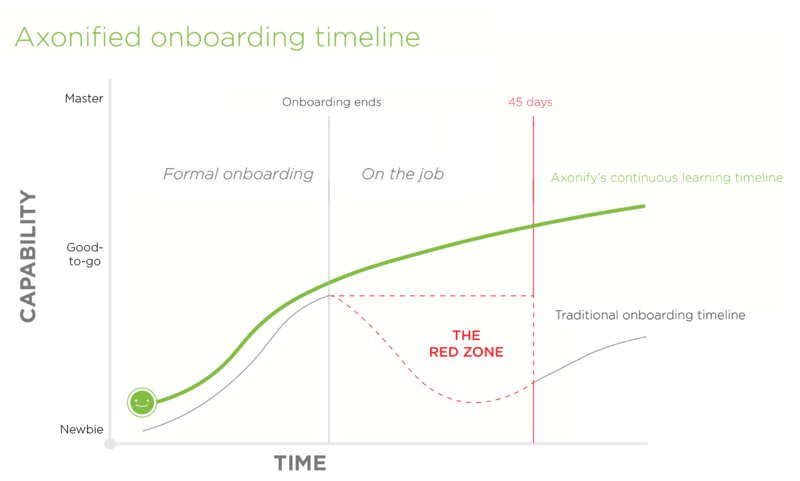 Give every employee in your organization a consistent onboarding experience. 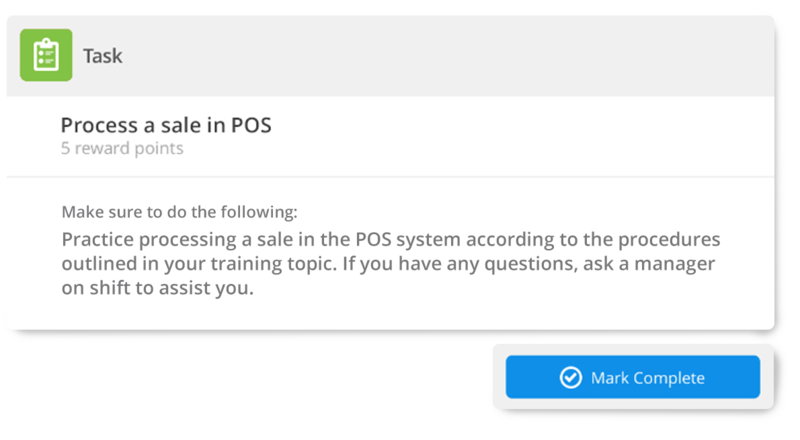 Focus on the critical training topics during onboarding, guide employees through a visual learning path and provide easy access to job aids and resources. Personalize the learning experience for each new hire, and continuously close knowledge gaps over time to keep them at peak performance. Connect hands-on practice to the learning workflow to help new hires remember what they’ve learned, and empower frontline managers to observe and correct behaviors over time. Practice is important to get better at anything, so why don’t we talk about it more in the workplace? We're all hiring new people. So why are we all so bad at getting those new people up to speed in their new roles? Learn how to fix it now. 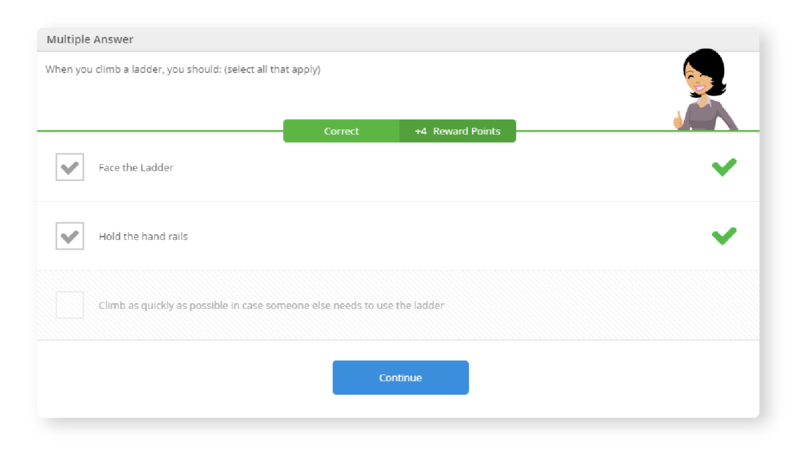 Questions about our onboarding solution? We’d love to help you out.